Don't let your head get too big, it'll break your neck. I believe the key to happiness is: someone to love, something to do, and something to look forward to. I don't feel I'll live a long life. That's why I have to get what I can from every day. I have no use for bodyguards, but I have a very special use for two highly trained certified public accountants. I'd never do anything vulgar before an audience. My mother wouldn't permit it. Music should be something that makes you gotta move, inside or outside. My voice is ordinary. If I stand still while I'm singing, I might as well go back to driving a truck. Rhythm is something you either have or don't have, but when you have it you have it all over. Singers come and go, but if you're a good actor, you can last a long time. Talent is being able to sell what you're feeling. The image is one thing and the human being is another. It's very hard to live up to an image. The only thing worse than watchin' a bad movie is bein' in one. There is nothing more notable in Socrates than that he found time, when he was an old man, to learn music and dancing, and thought it time well spent. When you're a celebrity, people treat you nicer. The bad part is, they also tell you what they think you want to hear, which ain't always the truth. You only pass through this life once; you don't come back for an encore. 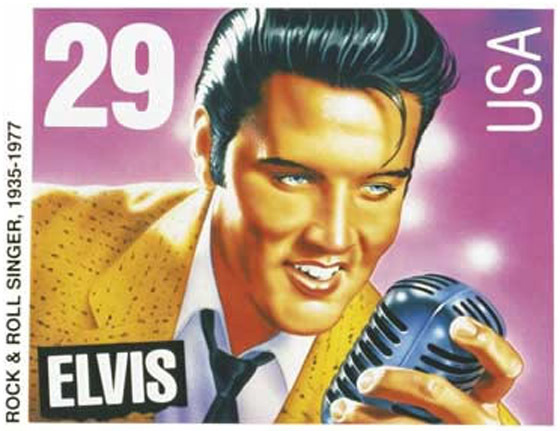 Elvis Presley is the greatest cultural force in the twentieth century. He introduced the beat to everything, music, language, clothes, it's a whole new social revolution- the 60s comes from it. We're the Axis of Elvis. America is Elvis Presley- the most beautiful, talented, rebellious nation in the history of Earth. And now, you're in your Vegas years. You've squeezed yourself into a white jumpsuit, you're wheezing your way through 'Love Me Tender' and you might be about to pass away bloated on the toilet. But you're still the King. He was a unique artist… an original in an area of imitators. A lot of people have accused Elvis of stealing the black man's music, when in fact almost every black solo entertainer copied his stage mannerisms from Elvis. On a scale of one to ten, I would rate him eleven.